​The FBI should know. If they don’t, who would? The press? It seems unlikely that members of the press would know more than the FBI, in the same way that a reporter, reporting on MMA, probably knows a good deal less about fighting, than a championship caliber fighter. And James Comey, was as high up the investigative food chain, as one could get. It won’t matter, though, not as long as people believe. And, when it comes to belief, true believers are everywhere, on both sides of the debate. 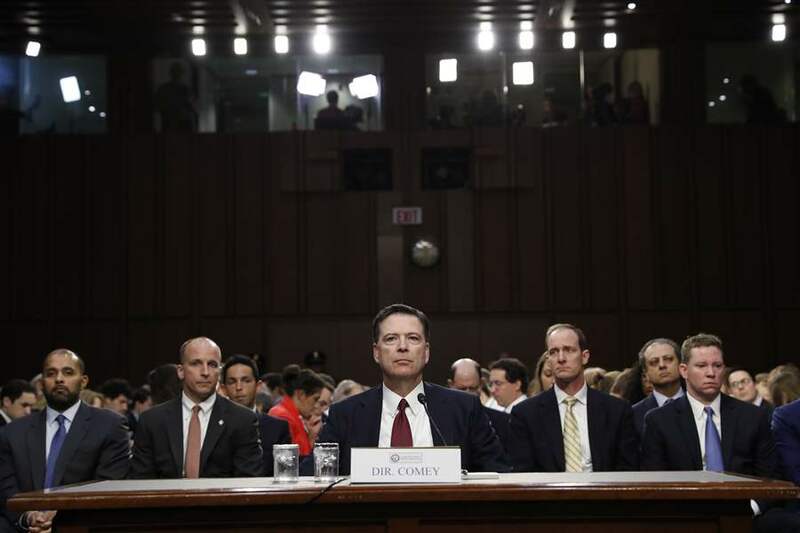 Under oath, Comey said that president Trump was not, and never had been, under investigation for collusion with the Russians. He also said there was no evidence that Trump, or anyone on his team, ever colluded with Russia. Comey also acknowledged that the infamous New York Times article about various members of Trump’s team meeting with shadowy members of Russian intelligence, was false. Nonetheless, it was recycled by just about every media outlet on earth, creating an echo chamber of like-minded thinking. Comey also admitted to being the leak, for the even more infamous “Comey memo,” which created endless media hysteria, which we now know was baseless. To further confuse the issue for true believers in Trump’s guilt, Comey said that the people who illegally leak information to the press, tend to be people who don’t really know what’s going on. And, the people who did, weren’t talking. In that one statement, James Comey, former FBI director, undermined the media’s obsession with unnamed sources, as the basis for trying to piece together the Trump collusion narrative. When you consider that there never was any credible evidence for collusion, according to Comey, the left’s relentless pursuit of a Trump/Putin connection, appears to be a baseless, politically motivated witch hunt. The most damning part of Comey’s testimony came when he said that former attorney general Loretta Lynch, pressured him to lie about the FBI’s very real investigation into Hillary Clinton. This came directly after Lynch illegally met with Bill Clinton on a private plane, days before the election. Comey said the reason he never reported the incident was his own cowardice (his words, not mine.) In spite of this, the press still relentlessly pursue president Trump’s innocuous suggestion to Comey, that he “hoped” that he would ease up on Mike Flynn. Because Flynn was innocent, and a good guy who’d been through enough.